As I peruse my social media timelines this blessed Sunday morning, I see posts that are enlightening, many are uplifting, several are upsetting and a few perplex me. .
As a follower of ‪#‎Jesus‬ ... I really enjoy watching and reading about the activities of Christian ministries as they preach the gospel, pray for the sick, meet the needs of the poor and hungry, prophesy, exhort and teach the body of Christ via social media. (Shameless plug: I particularly enjoy my husband's posts). But I have started to notice stark differences emerging between several ministries and I believe I am suppose to share this (I am not going to reveal particulars because I do not wish to breed division ,,,those who are hearing the same from God on this will discern). When I read an entire lengthy post that is exhorting the body of Christ to do a particular thing, think a particular way or is releasing some tidbit of wisdom or revelation for us to ponder or reflect... 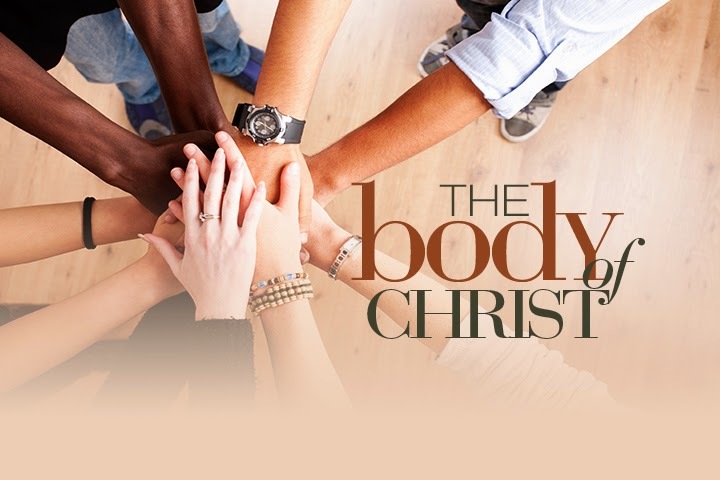 I am struck by those who singularly focus on the individual and not the Body of Christ (i.e. Church). That is, they offer advice and suggestions for 'self' improvement nearly every post, but they rarely offer advice or suggestions for how to live in the Body of Christ corporately. Another thing I've noticed is that there are some ministries that almost never utter the name Jesus (or Yahweh) .. but use terms like God, Lord, etc... exclusively. When we consider that Satan was the MOST selfish and self-centered being that has ever existed and Jesus was the MOST selfless and loving, does it not give us pause when we begin to focus inward exclusively? (either good or bad) ... Does it not concern us when people are encouraging us to listen to a 'lord' or 'god' .. but they are not specifying which LORD? ... and which GOD they are talking about? I am not here to suggest that ministries that focus exclusively on the individual are working for the Devil (God forbid! ), but I do wonder how much the enemy may have infiltrated the ranks to take our eyes off JESUS and off the Kingdom work we are called to do. We are called to LOVE and SERVE one another, to walk after the HOLY SPIRIT. To LIVE out the WORD with JESUS CHRIST as our HEAD ,,, we (the Church) are HIS Body! 2 Corinthians 4:5-6 For we preach not ourselves, but Christ Jesus the Lord; and ourselves your servants for Jesus' sake. For God, who commanded the light to shine out of darkness, hath shined in our hearts, to give the light of the knowledge of the glory of God in the face of Jesus Christ. Let's live as His Church today friends!